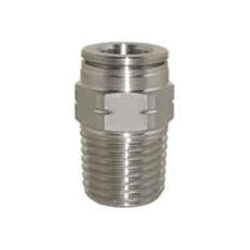 Technifit™ Pneumatic Push-To-Connect Metric Fittings Category | Technifit™ Pneumatic Push-To-Connect Metric Adapters & Connectors | U.S. Plastic Corp. 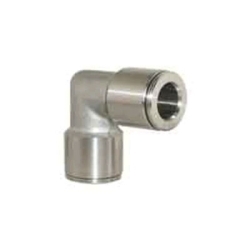 Stainless Steel line is suitable for applications where brass, nickel plated and acetal are banned. 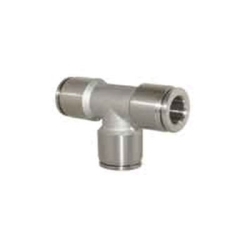 These fittings are designed to withstand corrosive environments (substances), to channel aggressive fluids and to be used in the food, pharmaceutical and chemical industries, as well as extreme hot and cold conditions. 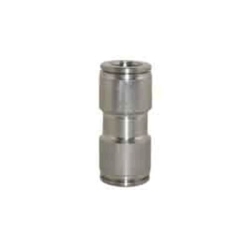 These come with FPM seals to guarantee the best performance in the highest temperatures.